Denmark restaurant chain takes inspiration from Hfx. We hope you’re making the most out of Burger Week, Halifax. There’s nothing like the flavours of your own city to satisfy your appetite. Imagine if you could enjoy the taste of home internationally. Peter Ahn and Ulrich Dehler have achieved just that by creating the Halifax Burger restaurant in Copenhagen, Denmark. Inspired while studying in Halifax, students Ahn and Dehler opened their first Halifax restaurant in 2007. “We met in Halifax, the best burger experiences we've ever had have been in Halifax and the word Halifax is very catchy,” Dehler told reporter Angela Mombourquette a few years ago. 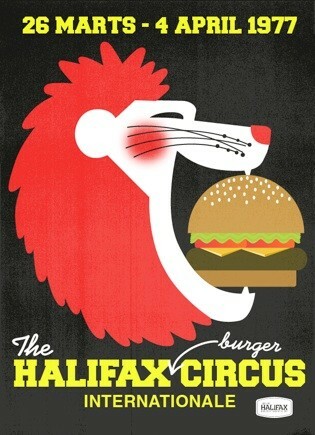 Halifax Burger tries to create a different ambiance for each restaurant while staying true to their menu. You choose a type of burger, a bun, a patty, side dish and dip (play around with choices on their flashy online menu here). The business also turns out some impressive artwork—with cartoons of quirky characters. It’s the kind of throwback, at-home community vibe that indeed reminds you of many of the great local restaurants here in Halifax, Nova Scotia. Of course, no need to be stuck inside daydreaming of mouth-watering Copenhagen burgers. There’s still time to get your fill of beef, veggie patties and melted cheese! Burger Week runs locally until this Thursday. How Getaway Farm specializes in tasty, sustainable beef all year long.